Cannabis fan leaves just might be the most underused part of the plant. Here’s why fan leaves are important and 3 things to do with them. Almost every plant has leaves. So, what’s special about the ones on cannabis? Fan leaves may be the most under-recognized part of the herb. Filled with flavor, resin, and other phytonutrients, cannabis fan leaves can be put to use in a variety of ways. Here’s what fan leaves can tell you about your plant and three things to do with them. Why are fan leaves important? 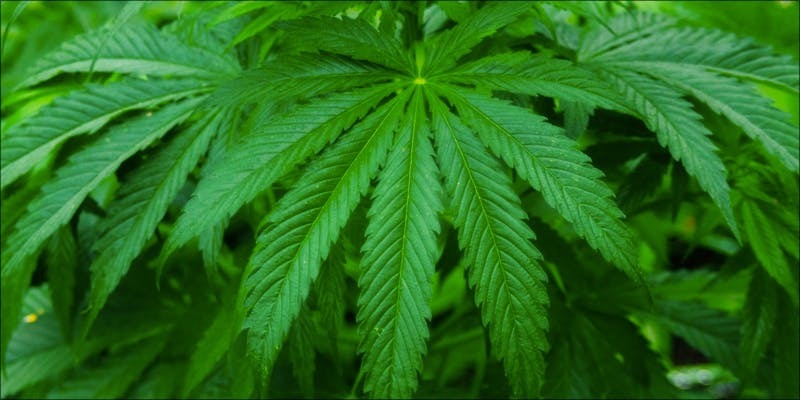 Leaves are the primary energy harvesters of the cannabis plant. Green chlorophyll helps trap the sun’s energy and transform it into vital fuel. Without healthy leaves, the plant will not be living up to its full potential. Fan leaves are the large, primary leaves on the cannabis plant. Small leaves that poke out of the cola are often referred to as sugar leaves. It is recommended to use fan leaves as a way to judge the overall health of the plant. Common cannabis ailments like powdery mildew and infestations often show their first signs on cannabis fan leaves. Carefully observing fan leaves throughout the growing process can tip off growers to pesky caterpillar bites, aphids and more. Fan leaves are the first to express signs of environmental distress. Leaves will wilt when given too much water or not enough, as well as begin to brown and curl if it has experienced nutrient burn, which may be a sign that a grower needs to lay off or flush their soil as a last resort. Many nutrient deficiencies or imbalances also present themselves in leaves. A magnesium deficiency, for example, will cause the bottom leaves of the plant to lose color and turn yellow and die. Bottom line? If the leaves are doing something odd, the plant is struggling for some reason and it is a good time to troubleshoot. Do fan leaves contain cannabinoids? The majority of the medicinal and psychoactive potential of the cannabis plant lives in the cola, covering calyxes with crystally resin. Yet, fan leaves do contain some of the vital cannabinoids and acids that give the plant therapeutic value. However, fan leaves only contain trace amounts of these compounds. In 1971, the United Nations report comparing cannabinoid levels in male and female plants found that the large leaves of some specimens contained as much as 0.3% THC and 0.7% CBD. These results were from a limited number of samples from 8 different geographical regions. However, a couple of the samples tested negative for detectable amounts of THC. 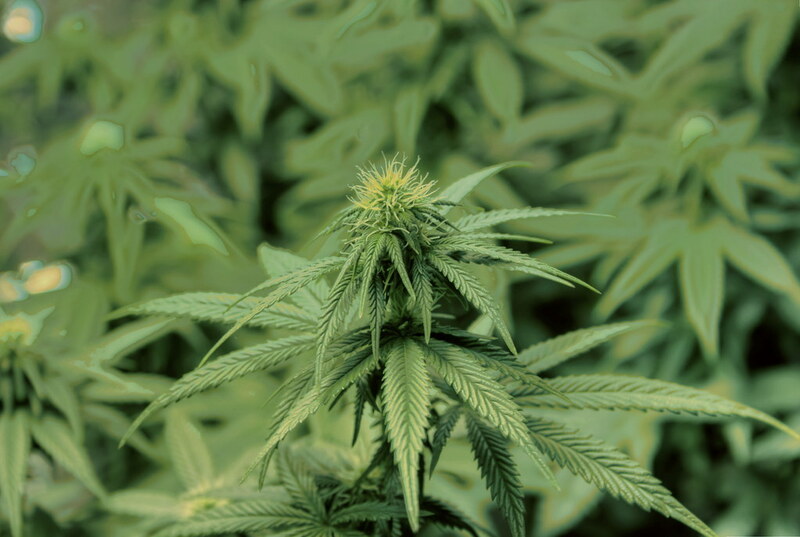 Samples taken from the upper leaves of cannabis plants tested higher for CBD/THC. Cannabis today is far more potent than strains from the hippie era, which is a reason to assume that some resin found in contemporary fan leaves may be a little more potent. How do you use cannabis fan leaves? It’s not uncommon for growers to find themselves with more leaves than they know what to do with come harvest time. Unfortunately, some cannabis plants get so large that it seems almost impossible to put all fan leaves to use. Composting excess plant and stalk material is always recommended, as nutrients from the leaves will continue to build healthy, more fruitful soil as they decay. Fresh fan leaves can be used alongside raw cannabis buds to make an ultra-powerful green juice or smoothie. In fact, raw cannabis juicing is now quite the trend. Cannabis-recommending medical professionals such as Dr. William Courtney argue that consuming raw cannabis increases the overall therapeutic dose of the plant. When kept raw (undried or heated), cannabinoids in the plant are found in their acid form rather than their active form. This means that a consumer will not get “high” from eating or drinking raw cannabis. Rather, they can consume high quantities of the plant without alterations in cognitive ability or other side effects related to smoked cannabis or active cannabis edibles. Not to mention, cannabis is one nutritious plant. Find information on cannabis for nutrition here. Fan leaves can also be dried and used in teas. The psychoactive effect of drinking cannabis tea is debatable. The resin of the cannabis plant is what holds cannabinoids, but the resin is fat soluble. For the cannabinoids to produce psychotropic changes, the resin needs to be dissolved into a fat. Simply adding dried cannabis leaves into a hot water for an herbal tea may promote relaxation, but it is unlikely to cause an out-of-this-world experience. Heating dried fan leaves in some coconut oil will extract and amplify whatever cannabinoids happen to be present in the leaves. Find a recipe for cannabis tea here. Similar to teas, dried cannabis fan leaves can be infused into coconut oil (or any other kind of fat) to be used in topical skin creams and balms. The small amount of resin and other nutrients in the leaves work well for surface application, which does not cause psychoactive effects. Find more information on the benefits of cannabis topicals here.